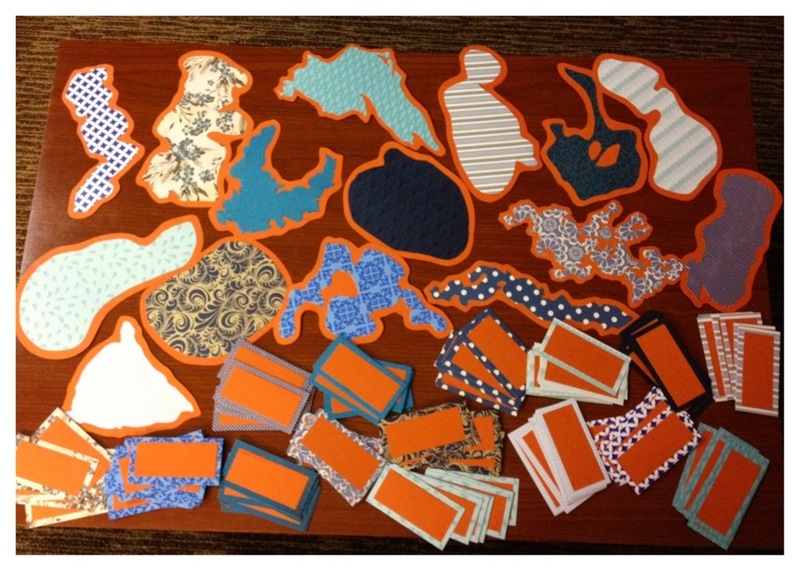 My best friend from childhood asked me to help make the table markers for her Minnesota wedding, and she said that she wanted each table to be a different Minnesota lake. 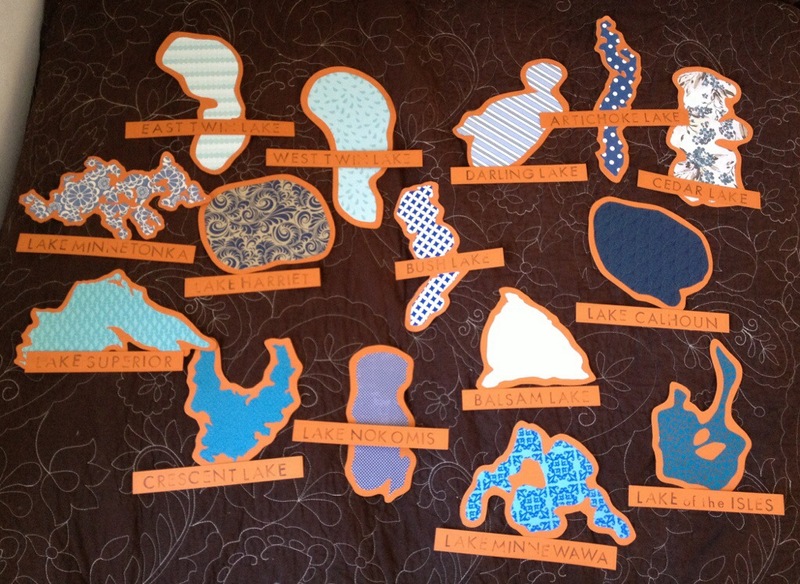 I decided to pick all our favorite lakes from growing up, and then a few others with either fun names or fun shapes or both! 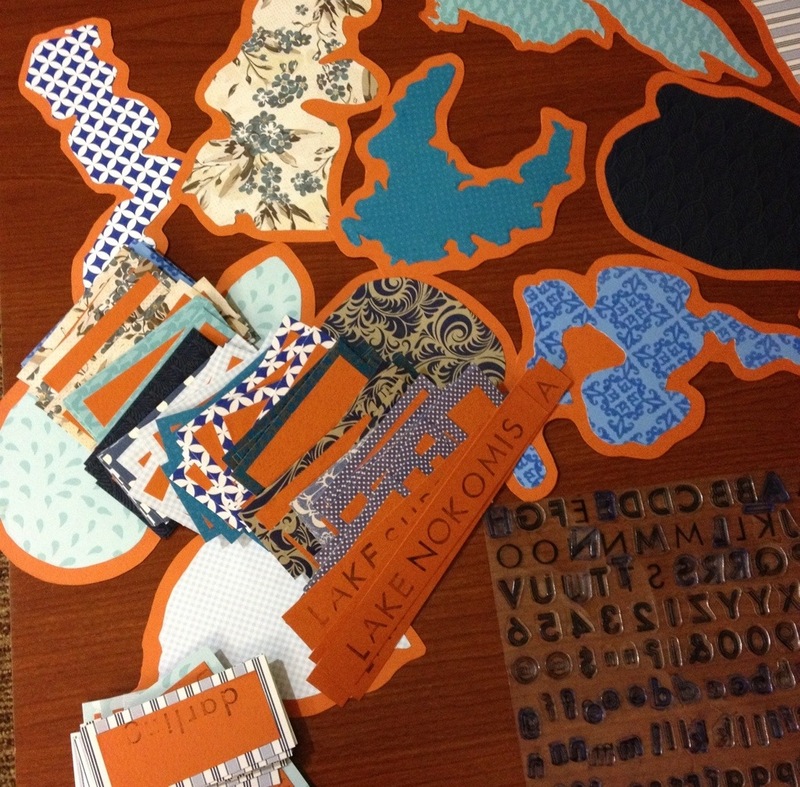 I used a different blue scrapbooking paper for each lake, and made a border for them all with the same sandy orange (the wedding colors were blue and orange, so it worked out!) 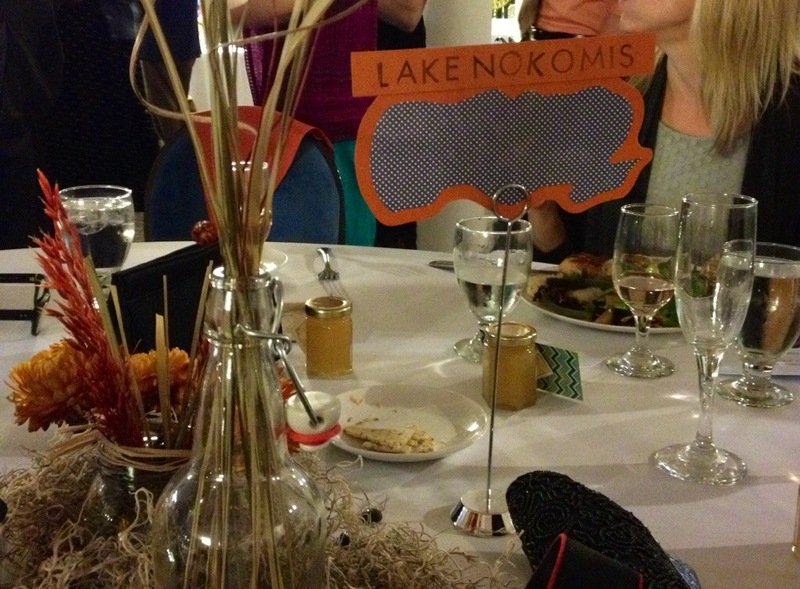 I made the lakes 2-sided so that they could stand up, which means that from one side you’re looking at the lake from underneath, which I think is fine. 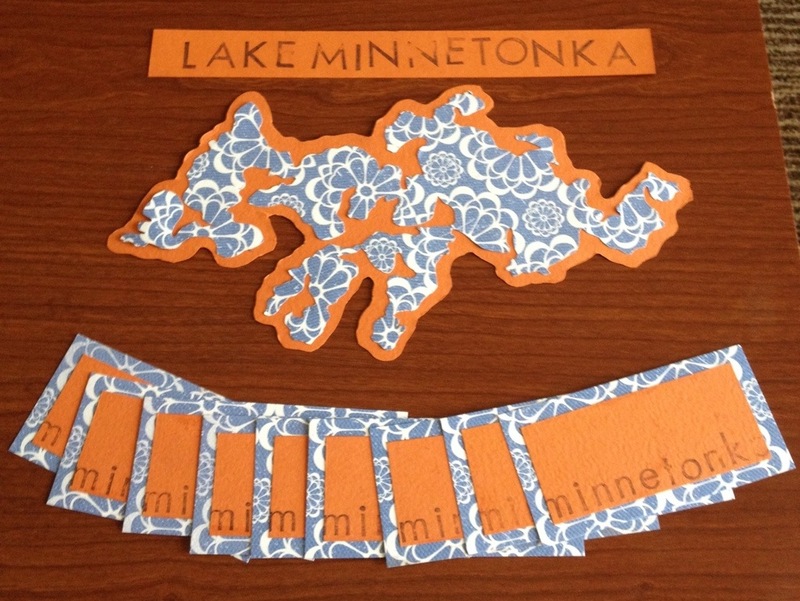 I made corresponding name cards for each of the lakes using the orange as the center, and the blue for the border, which was cool because then people could find their lakes just based on the pattern, and because the backs of some of the blue papers were really awesome and this way people got to see them!